To avoid catastrophic climate change all sectors of the economy need to radically and rapidly reduce greenhouse gas emissions. In addition, we need to sequester more carbon dioxide from the atmosphere than we are putting in. The best way to do this is to protect and restore natural forests. 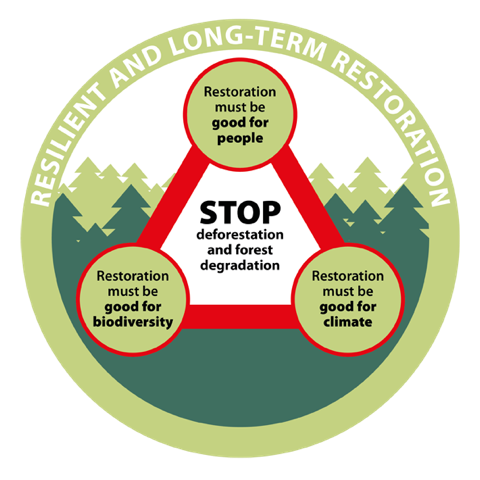 Restoration can be achieved by changing land management practices and by allowing natural recovery and regeneration. Fourteen organisations have come together to explain why it is best done with the full participation of local communities, and why the first step must always be to relieve pressure on forests.